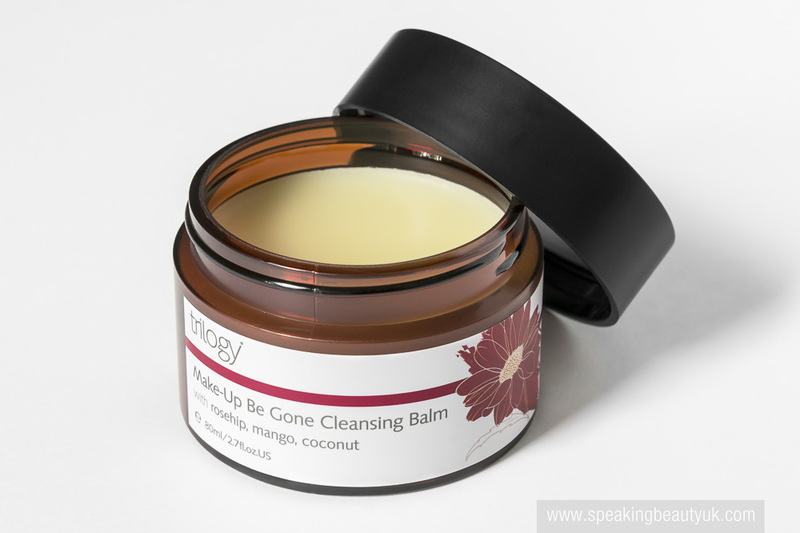 This is a rich cleansing balm, filled with plant oils including rosehip, mango and coconut oil. Smells lovely and removes my makeup really well at night. I love the sturdy plastic tub and the fact it comes with an organic cotton cloth, that feels soft to the touch but helps remove dirt and dead skin. This cleanser also leaves my skin feeling smooth and hydrated, which is always a big bonus for someone with slightly dry skin like mine. My only tiny complaint about this balm is I wish it melted more into an oil consistency like some other balms do (i.e Emma Hardie) but instead, it retains the balm texture making it less easy to move it around my skin. But don't get me wrong, I still love it and think it's an incredible product. 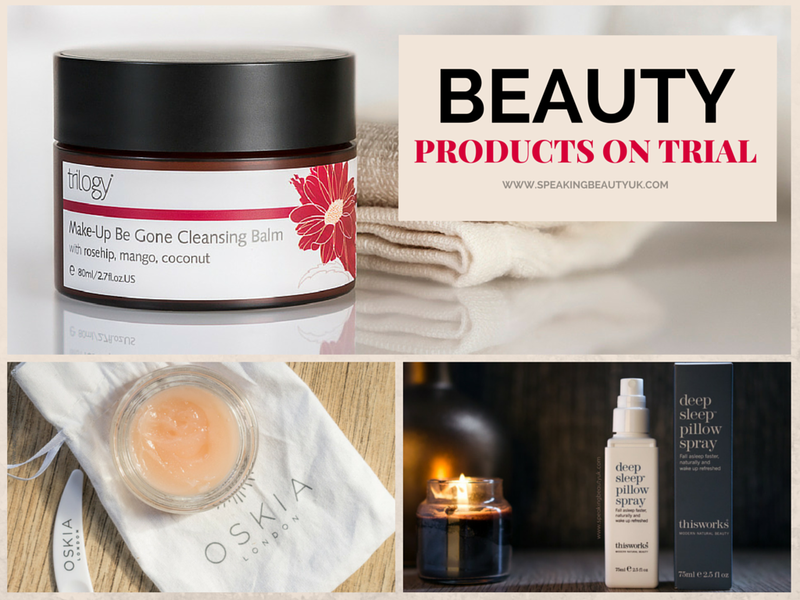 Not to mention Trilogy prides on offering natural and organic skincare, which I'm all about at the moment. Looking after my skin now means more than just applying products to keep it looking young for longer, it means making sure I apply something that will be truly good / healthy. 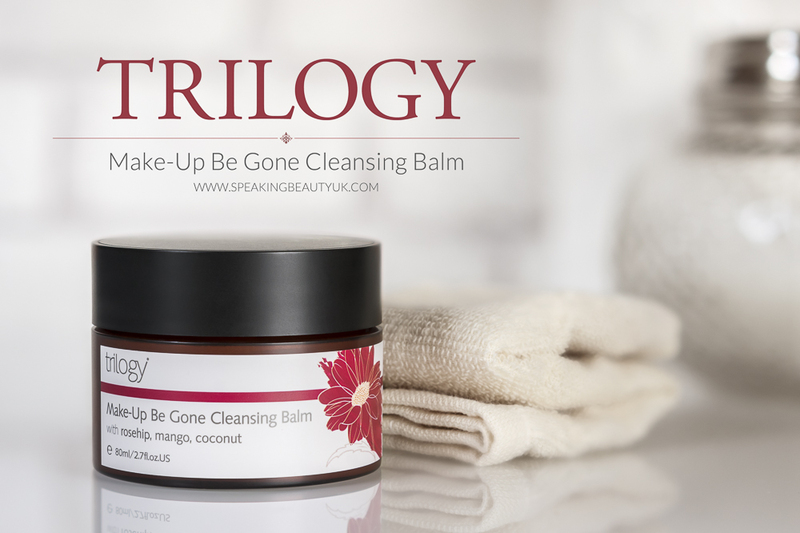 So for that and many other reasons, I've been loving Trilogy products. 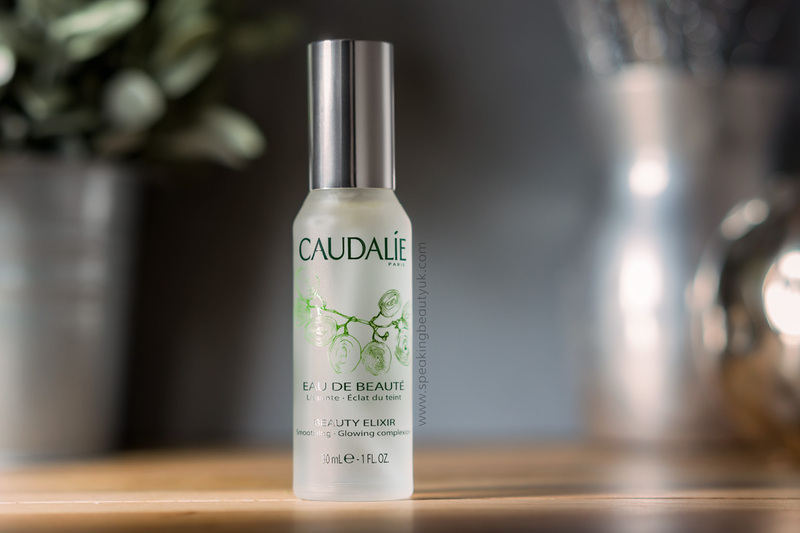 Caudalie Beauty Elixir is a well loved and hyped up product in the beauty world. With ingredients like grape, orange blossom, rose, organic balm mint and rosemary plus the promise to smooth features, tighten pores and a give the skin a boost of radiance, it sounds like a "dry skin girl's best friend in a bottle". How could I not want to try it? But the real question is... Did it live up to my expectations? Well... 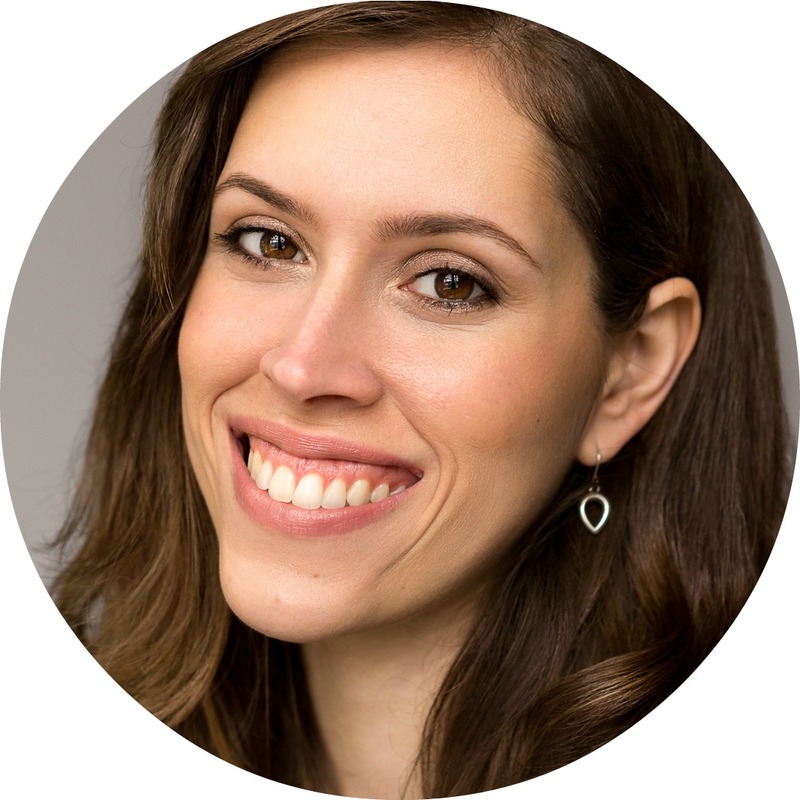 I love the fresh scent and I think it does add glow to the skin and makes it look and feel more hydrated. But it ends there for me. I did not notice any other change to my skin texture or pores, as advertised. Also, the spray is really annoying. I have to push it harder than I should for it to work and it leaks sometimes, wasting some of the product. I wonder if I got a faulty bottle or has anyone else experienced the same? Overall, it's a nice glowing mist. I like wearing it under my makeup or at night but I also eventually spray it over my makeup if I notice it's a bit on the powdery side and it instantly makes it look more natural and dewy. But I'm still not sure it's worth the price tag (£11.50 for 30ml) or if I'll buy it again once it runs out. My guess is I'll go on to test something else as it just didn't impress me enough. This product is another cult favourite. Infused with essential oils of Lavender, Vetivert and Wild Chamomile, it should help wind down and put our mind to rest, making us fall into a deep sleep and feel refreshed in the morning. The scent is lovely but quite strong as soon as I spray it on the pillow. It doesn't stay that way for long, though, which is good. Soon it fades into a more soothing smell and I enjoy the sensation it gives me just before I fall asleep. It does feel sort of relaxing but overall, I'm not quite sure what to make of it. In fact, the 1st week I got it I felt I was sleeping worse than ever. So I thought maybe the scent was bothering me more than helping and stopped using it. My sleep then got better again. Recently I decided to give it a go once more and I'm just not convinced it helps me sleep any better. Could it be that I'm less sensitive to the ingredients? I adore the scent but for the price (R.R.P £16), it doesn't seem to do much for me. - Retinaldehyde, a Vitamin A derivative, has a rejuvenating effect which helps to unblock pores, reduce residual marks and gives added anti-ageing beneﬁts. I don't really have blemish marks so can't comment on that but I have to say whenever I'm a bit hormonal and my skin is feeling aggravated and spotty, this has been a life saver. It really helps calm down redness and the spots seem to fade away quicker. The cream looks slightly yellow, which doesn't bother me as once blended into the skin, it doesn't really look yellow anymore. It moisturises the skin well and I wake up with renewed and much calmer complexion. 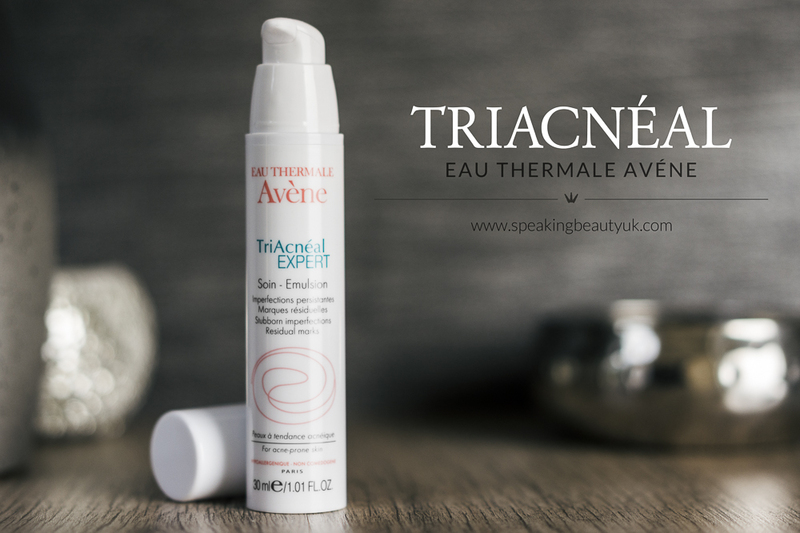 Big thumbs up to Avene! I got this lovely mask from a giveaway. Lucky me! :) This buttery balm stimulates cell turnover, boosts radiance and reduces the appearance of fine lines. 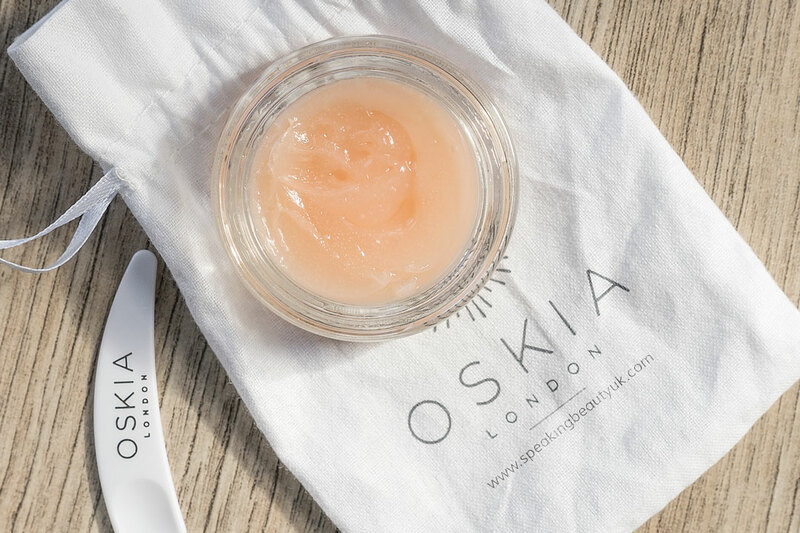 Fruit acids from passion fruit, lemon and grape gently activate skin renewal while enzymes from papaya cleanse and clear congested pores. It also contains Prebiotics to help fight bacteria and blemishes. I love the smooth consistency the lovely smell. 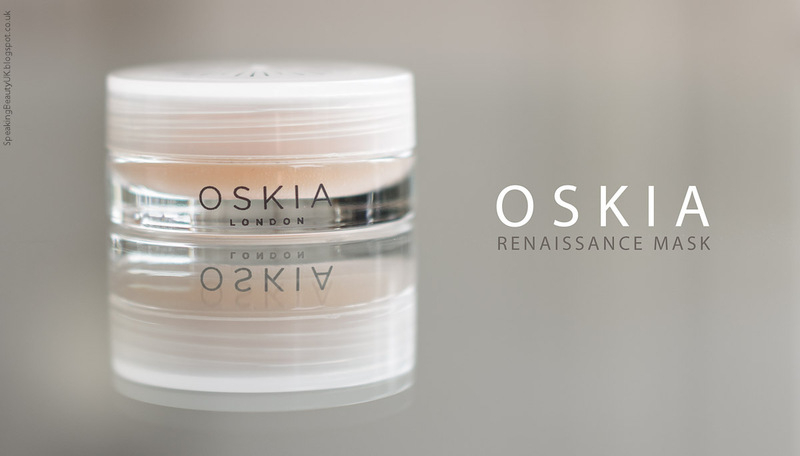 It feels truly luxurious on the skin, leaving it very soft and rejuvenated afterwards. It's a proper treat! I really like that it comes with a spatula. That way I don't need to touch the product, keeping it nice and clean. And the best part is I only need to wear it for 10-15 minutes and remove with a muslin cloth to help exfoliating further. Love it! But if deep exfoliation is what I'm really after, I still prefer my Dermalogica Gentle Cream Exfoliant mask. This is quite pricey at £48.50 for 50ml. However, if you can afford it, I'd recommend giving it a try. *PR Samples. All comments are my own and honest opinion. Pixi Glow Tonic - Is It Worth The Hype?